In the summer of 2012, I played the mystery visitor at the request of the pastor of a church not to far from where we were living. I stepped into two awkward moments. He gave me liberty to pick any Sunday I chose. Furthermore, I was not to let anyone know of my visit ahead of time. 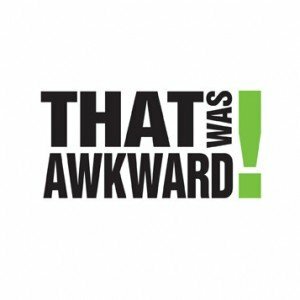 Part of the goal of doing a review your church hospitality systems is to remove potentially embarrassing moments that single out or make your church visitor feel awkward. It was a bright summer Sunday morning when we visited this church, and we arrived 10 minutes after the service had begun. When we entered by opening the doors to the sanctuary, we discovered the lighting had been lowered to the level a movie theater is before the film begins. The bright outdoor sunlight behind us made our entrance into the darkened space a little to obvious. We felt as if 200 people turned their attention from the platform to see who the interrupting latecomer was. As if that was not enough, our eyes did not adjust quickly enough to the darkened room. We stood there awkwardly for several seconds, waiting for our eyes to adjust before searching for a vacant seat. In that space of time, there were no greeters, no church ushers, or any kind of volunteer to help us. That is the short time in the service where, in a limited amount of time, people try to greet as many people as possible in a limited amount of time. However, this church extended this custom into ten minutes. All of this socializing meant that no one church members noticed us as first time visitors to their church, sitting in our seats for an awkward eternity, waiting for this to be over. A few weeks later, Pastor and I caught up and reviewed my experiences with the church. He was truly surprised at the lack of friendliness I experienced. He wasn’t present on the Sunday that I chose. He himself normally visits with visitors to his church. But this visit showed him that he needs to re-engage his church greeters and volunteers to be on the lookout for church visitors. We brainstormed ways to help make sure these awkward moments don’t happen to another church visitor. By the time we finished, he found ways to remove those potential embarrassments from the experience of the visitors to their church. Want to remove more friction? Read about the ebook that I sell on this website on my other website. You can read more about How to Welcome Church Visitors here.